Some of your favorite Esri apps for working with geographic information and building geospatial web apps just got better, thanks to the release of ArcGIS 10.3. 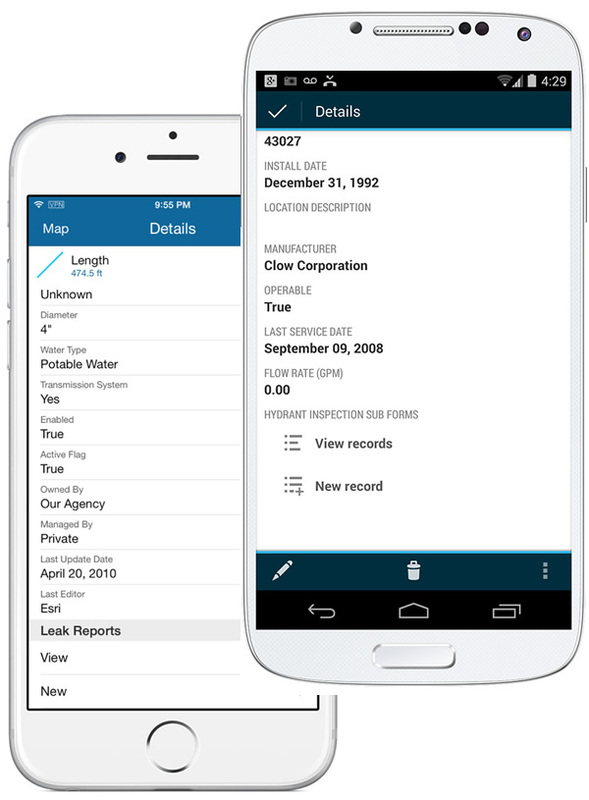 The changes to the apps made by Esri's software developers give you more powerful functionality, better control over your data, enhanced security, and greater extensibility. Find out what's new—and what you can do—using these four apps. Collector for ArcGIS is even more useful in the field, particularly for asset maintenance and inspection workflows. With support for data modeled using related tables, you can now record changes to your data over time or attach more in-depth data to records in a larger survey. You can also control when and how new data becomes available to end users by versioning the edits made to feature services. This works even when those edits are made while you are disconnected from the network. Collector for ArcGIS is now more secure. You can control who has permissions to edit specific features and how broad those edits can be. For example, you can set up editing permissions that restrict a user from deleting features. The app also now offers the option of having users go through a multifactor authentication process, providing an extra layer of security if necessary. Organizations using ArcGIS Online to host their own map tile layers can use them as basemaps in Collector for ArcGIS and download them for use offline. Collector for ArcGIS provides better control over data. The new Explorer for ArcGIS release makes ArcGIS available to even more users. Those with an Android device can now find, use, and share maps from Explorer for ArcGIS on Android devices as well as on their iPhones, iPads, and Mac computers. Operations Dashboard for ArcGIS brings a range of general improvements for all customers. Visualize data better by adding a spatial filter—such as limiting a query to the current map extent—in addition to a typical attribute filter. The example below shows how data in the current map extent compares to the whole map. Apply spatial filters on top of attribute filters to see data in new and meaningful ways. 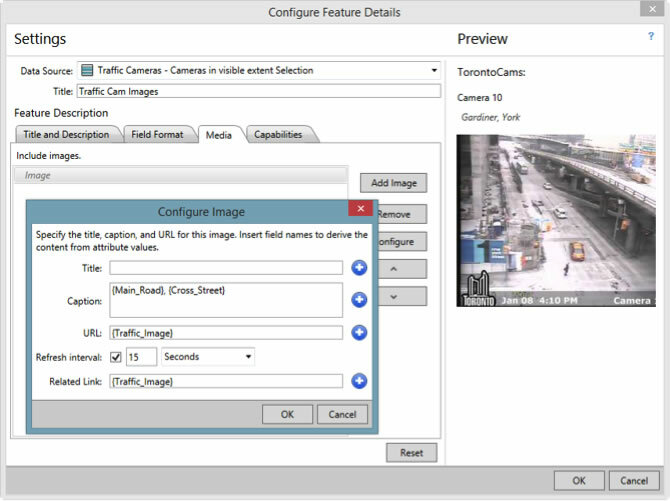 Media such as images recorded by traffic webcams can now be set up to refresh automatically. You can schedule refreshes as frequently as every 15 seconds. If your organization deploys Operations Dashboard for ArcGIS using Portal for ArcGIS, users now have the ability to access the app via any web browser from a desktop or tablet. Read the blog about the new version of Operations Dashboard for ArcGIS. Media such as images recorded by traffic webcams can now refresh on your schedule. Using the new developer edition of Web AppBuilder for ArcGIS, you can build powerful, user-friendly apps that run on desktops, tablets, and smartphones. Use a selection of the common GIS tools provided with Web AppBuilder, along with your own custom widgets, to build workflows that do precisely what your organization needs. You can also take advantage of custom widgets shared by the community. Extend your apps, power your enterprise, and generate revenue with the developer edition of Web AppBuilder for ArcGIS. Personalize your apps with custom themes so they look and interact exactly how your users want them. You can apply your organization's brand and experience in an app's look-and-feel, layout, navigation, and on-screen functions. This developer edition provides the framework and tools so you can focus on what matters—building what your organization needs—without worrying about the plumbing. So you've built an app for your organization, but it doesn't have to stop there. You can also promote and sell your app on ArcGIS Marketplace, a central location to discover, try, and buy geospatial apps and data. 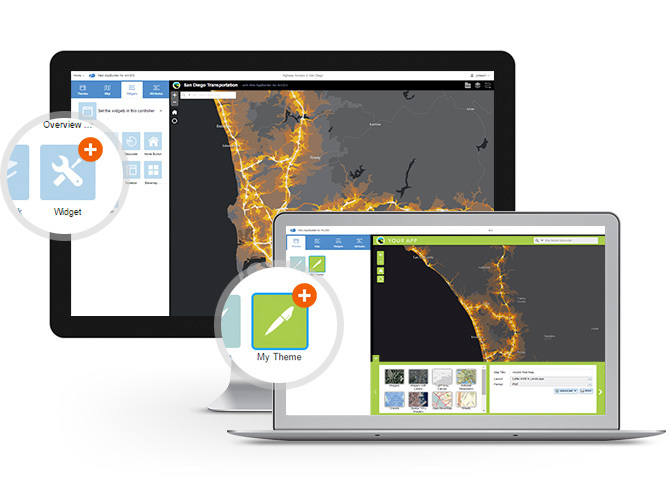 Read the blog about the new developer edition of Web AppBuilder for ArcGIS.